The announcement is reportedly imminent, following the unelected Lords inflicting a series of blows to the flagship Brexit bill. Theresa May is set to appoint a number of new peers in the wake of a series of Brexit defeats in the Lords, according to reports. 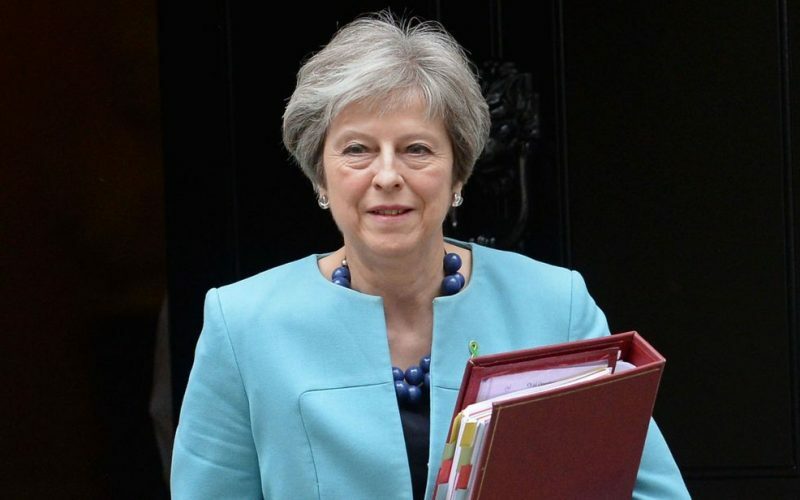 The Prime Minister is expected to announce the move in the coming days, according to the Daily Mirror, Guardian and Daily Telegraph, which say up to 10 new peers will be created. It comes after the unelected upper chamber inflicted 15 defeats on the government’s flagship EU Withdrawal Bill, sparking claims peers were trying to “thwart” Brexit. Reports suggest the move would represent a bid to avoid further damaging setbacks to other pieces of Brexit legislation. Given the size of the defeats to the EU Withdrawal Bill, the numbers suggested may not sway the balance in favour of the government except on knife-edge votes. Among those tipped for ennoblement include former ministers Sir Eric Pickles and Peter Lilley, it has been reported. Other purported names in the frame include former MPs Andrew Tyrie, Julian Brazier and Sir Edward Garnier. The campaign group Unlock Democracy, reacting to the media reports, said the move was “hypocritical, opportunistic and weak”. Director Alexandra Runswick said: “It’s little wonder that fresh from a defeat in the House of Lords on their flagship legislation, the EU (Withdrawal) Bill, Theresa May’s weak minority government is cowering in the shade of the royal wedding as she packs the House of Lords with cronies and failed MPs who got booted out of the House of Commons. “It was barely a fortnight ago that Conservative MPs were up-in-arms about peers scrutinising legislation and calling for the upper chamber to be abolished all together. “Well, they’ve certainly changed their tune. “This signals a government too weak to see through its own legislative agenda through regular democratic mechanisms, too divided and complacent to face the real challenges facing the country, and too afraid to publicise a move they know will be met with disbelief by the public. The Daily Mirror cited a source close to the Cabinet Office’s Honours Committee as saying: “This has been on and off, on and off for months, but they’re likely to do it this weekend. Labour peer Lord Adonis, a prominent Brexit critic, described the news as “outrageous”. The announcement of the new peers is likely to spark accusations of hypocrisy against Mrs May, given she has previously urged Labour and the Liberal Democrats to encourage their peers to retire to cut the size of the Lords. The PM said her party had a better track record of “embracing retirement at the appropriate time”. Her comments came in response to the cross-party Lord Speaker’s committee’s call for a “two out, one in” system to reduce the numbers in the Lords from almost 800 to 600. There are also reports that Labour will appoint three new peers – with former party general secretary Ian McNicol and activist Martha Osamor said to be in the running. Lord Adonis said such a move would be a “mistake” on the part of Jeremy Corbyn.